A new ice arena and a swimming pool will be built in Batumi. According to Ramaz Bolkvadze, consultations are underway and to be completed by September 1st, 2019. 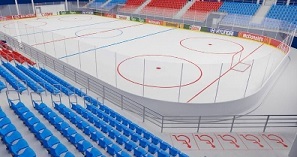 It is known that the ice arena should be designed to carry out training- processes and different levels of competitions specifically figure skating and ice hockey . As well as for massive skiing, cultural-spectacular and entertaining events, holidays, concerts and exhibitions. The swimming pool should be designed for swimming, water polo and mass swimming competitions. Total approximate cost of the project is 46 million GEL. Construction must be completed within 2 years after the contract is concluded.